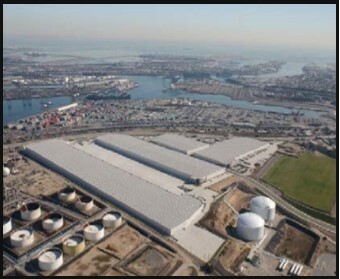 Located at the Port of Los Angeles, the busiest cargo terminal in the United States, the 90-acre Time Oil refinery and tank farm presented one of the strongest industrial development opportunities in Southern California, but for the need to resolve environmental issues. The Principals of RE | Solutions (RES) led a joint venture team with two local partners that negotiated the transaction and acquired the property for redevelopment. The acquisition was a complex, three-party transaction, the parties to which included the acquisition team, Pacific Refining Company (a subsidiary of the former Coastal Petroleum Company), and Time Oil Company (TOC). The property was owned by TOC; however, Pacific Refining had operated on the site for many years and was responsible for completion of the environmental cleanup at the property. The purchasing entity assumed the management of the on-going environmental cleanup work from Pacific Refining prior to close, and indemnified both TOC and Pacific Refining against any future requirement to clean up the property, as well as against any third-party environmental liability claims. The team successfully managed the pre-closing environmental due diligence, acquisition, liability transfer, and site remediation, including negotiations with the Los Angeles Regional Water Quality Control Board for final cleanup standards. Entitlement and development planning work included successful completion of the California Environmental Quality Act (CEQA) process, and coordination with the Los Angeles Public Works Department, Department of Sanitation, as the property was adjacent to a closed city landfill. 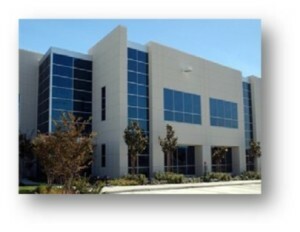 The acquisition team then partnered with Overton Moore and Associates and Pacific Coast Capital Partners to develop the property into 1.8 million square feet of warehouse/distribution buildings.